WE ARE A ESTABLISHED EXPORTER OF THE FOLLOWING MERCHANDISE AND ARE IN A FINE POSITION TO SUPPLY YOU AT A MOST COMPERTITIVE PRICES ON REGULAR BASIS. 1.) 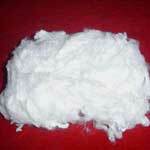 100 % COTTON YARN WASTE 2.) 100% COTTON COMBER NOIL WASTE ETC. WE EXPORT TO UK, HONGKONG, CHINA. OBLIGED TO RECEIVE YOUR SPECIFIC ENQUIRY SO THAT WE CAN SUBMIT YOU OUR BEST OFFER WITH QUALITY.